Here at HIP, it’s a true pleasure to be working with Interpol once again to promote their latest installment, the “If You Really Love Nothing” music video! We hope you embrace this clip as much as we have and consider including it in your regular programming and online presentations. Rest assured we’ll have plenty of Interpol merch available for on-air contests and giveaways so don’t hesitate to get in touch. For more information on Interpol, please contact Andy Gesner and the HIP Video Promo team at (732)-613-1779 or email us at info@HIPVideoPromo.com. For recent updates on Interpol check out www.Facebook.com/Interpol and www.Instagram.com/Interpol and visit www.InterpolNYC.com for more info. 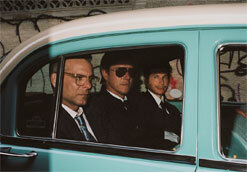 For info about other Interpol videos, click HERE.